It’s tempting to think of fax machines as a relic, every bit as relevant as an eight-track tape. But fields like health care and government still rely on faxes every day. Even your all-in-one printer probably has a fax component. And new research shows that vulnerabilities in that very old tech could expose entire corporate networks to attack. In fact, the surprising ubiquity of fax machines is what inspired Check Point researchers Yaniv Balmas and Eyal Itkin to analyze the tech’s present-day security posture. Vulnerable network printers are a classic target, and the researchers found that they could similarly exploit bugs in faxes to get inside private networks. In addition to the lack of encryption, researchers say that the fax protocol—the industry standard description of how the technology should be incorporated into products—is documented in a very confusing way. As a result, they suspected that it was likely implemented improperly in many devices. When the researchers analyzed the Officejet line of fax-capable all-in-one printers from industry giant Hewlett-Packard, the found exactly the type of issue they had suspected. The problem they discovered was a common issue known as a “stack overflow,” in which the structure that stores information about a running software program overloads, causing it to crash. Attackers can initiate stack overflows strategically to gain more access or privileges on a system. So the researchers crafted a malicious fax with data in it that would exploit the bug when sent to a vulnerable machine. 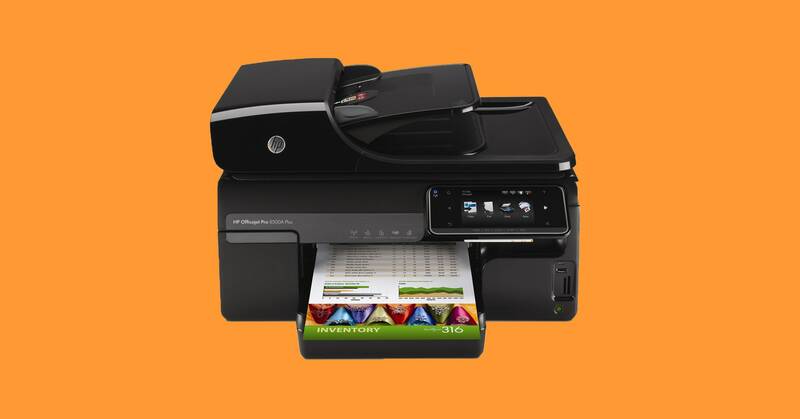 An attacker could also embed an additional exploit into the malicious fax, so once the first phase of taking over the all-in-one printer is complete they can bore deeper into a company’s network from there. In a demo, the researchers show that they’ve taken over an HP Officejet printer by displaying a sinister image on its screen. Then they use the infamous Eternal Blue Windows exploit as an example of a hacking tool an attacker could deploy from there to gain deeper remote network access. The researchers say it currently takes less than one minute to transmit a fax with all of this code hidden inside it, and that they could potentially reduce the transmission time even more. Balmas and Itkin disclosed the issue, which affects all Officejet printers regardless of model or version, to HP. And the company has released a patch that adds standard protections against stack overflows. “HP was made aware of a vulnerability in certain printers by a third party researcher,” HP spokesperson Luke Cuell told WIRED. “HP has updates available to mitigate risks and have published a security bulletin with more information. … We encourage customers to keep their systems updated to protect against vulnerabilities.” Many HP printers automatically download updates, but printer update adoption rates are often slow. For institutions and individuals the researchers say that the crucial safeguard comes from a conceptual understanding that plugging a printer into a phone line opens up an additional avenue for potential attack. You probably haven’t thought about fax machines—or used one—in forever. But some tech never dies; it just gets less and less secure.